Sparks of genuine revelation are contained in many religions and esoteric systems. Your Evolving Soul declares that we�ve been graced with a new revelation for our time: the little-known Urantia Book, which has quietly sold over one million copies in a dozen languages. According to the author of this comparative analysis, the disclosures about self, soul, and spirit in the Urantia Revelation stand alone in their coherence and richness of detail. 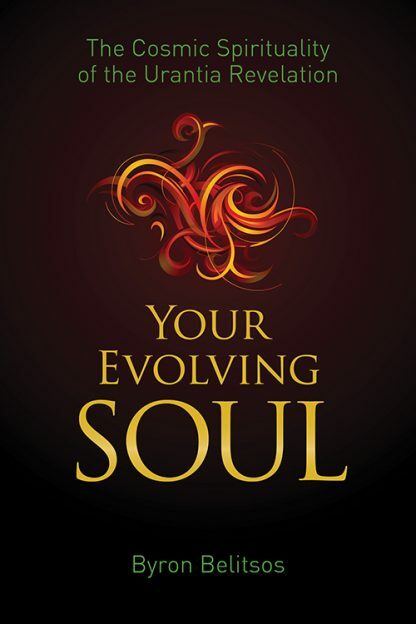 Your Evolving Soul is the first book to fully explain this advanced teaching for the ordinary reader, offering clarity and inspiration for those on any path. Belitsos compares the Urantia Book's futuristic teachings about the threefold design of the human self-system to the models of selfhood proposed by many previous thinkers, ranging from from Plato and Saint Augustine to Carl Jung and Ken Wilber. He provides essential context for this discussion by illumining the relationship of the Urantia text to scientific psychology and to the world�s religions, with special emphasis on Christianity and Buddhism. Your Evolving Soul also provides an introduction to the cosmology, theology, and philosophy of the Urantia teaching, and reveals its many affinities with contemporary integral theory and modern theology. Through his lucid interpretation of the Urantia Revelation, the author offers a model of the human self and soul to be tested, examined, and compared�not a finished truth to be accepted as doctrine. Readers of this book will discover a plausible hypothesis of how our evolving soul becomes an immortal vehicle of our true identity. They also learn how our soul-making decisions can lead to the development of a creative, loving, unified, and perfected personality, now and into the afterlife.